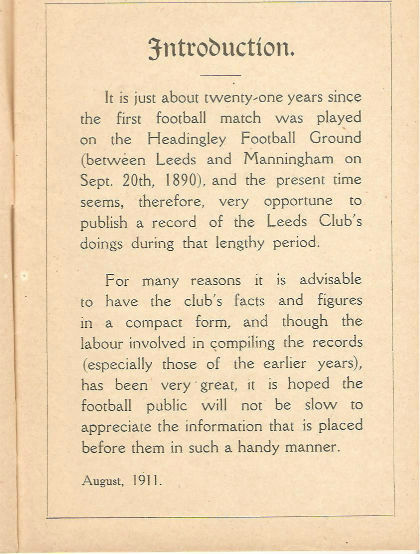 The statistical information on these pages dates back to 1890 -91 and has come from the records of JamesGoldthorpe who was secretary of the Leeds Club from 1907 until 1922. His work was published in booklet form in 1911 and he continued to compile information until his death in 1942. 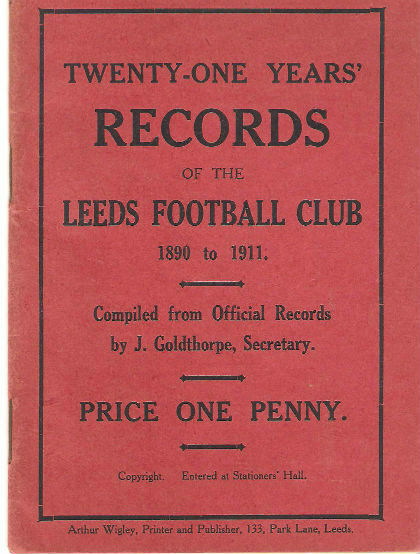 Each page contains the scores from all the games the Leeds team played that season, the scorers, League tables (from 1895) and other information that Mr Goldthorpe noted. The first 5 seasons were before the split and these games were played under Rugby Union Rules. The Leeds Club was a founder member of the Northern Union, Rugby League, and the 1895-6 season was the first under those rules.